On a recent autumn afternoon I took my camera and journeyed out to the backwoods home of a dear friend. 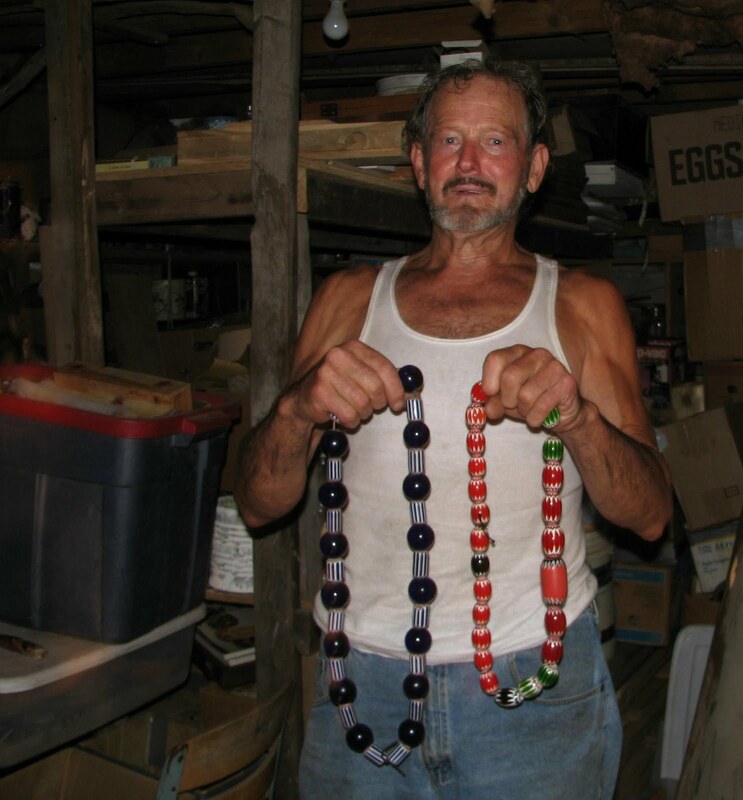 Called Griz by all who know him, he is a man of many talents and wonderful collections. 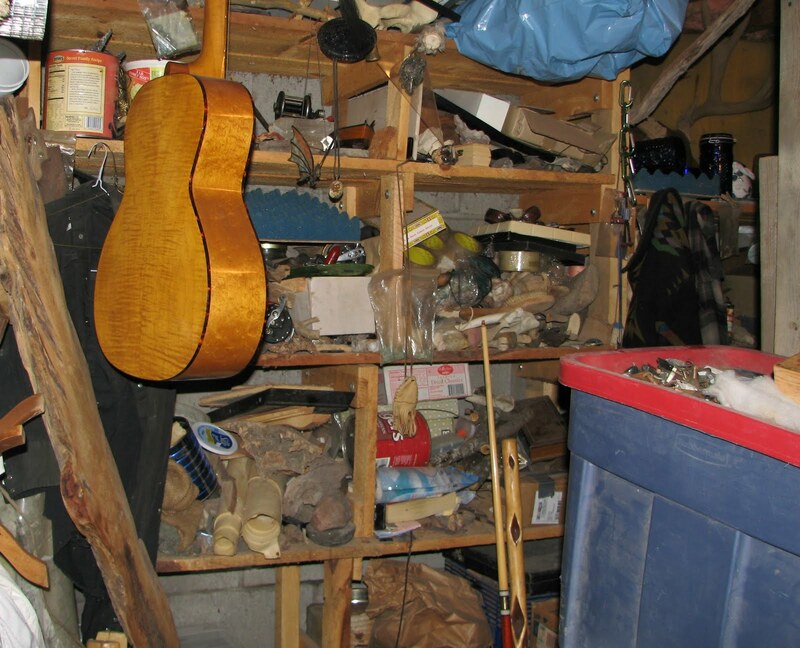 His basement, which is cleverly disguised as a cluttered mess, holds an array of marvels and oddities. 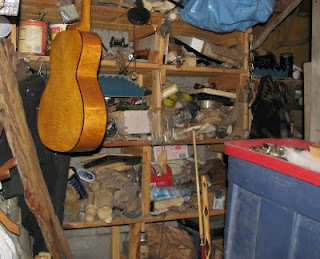 This first picture gives a small notion of the initial visual impact of this treasure trove; I call your attention particularly to the unremarkable blue tub in the lower right - it will figure largely in my story as it takes a turn for the weird. 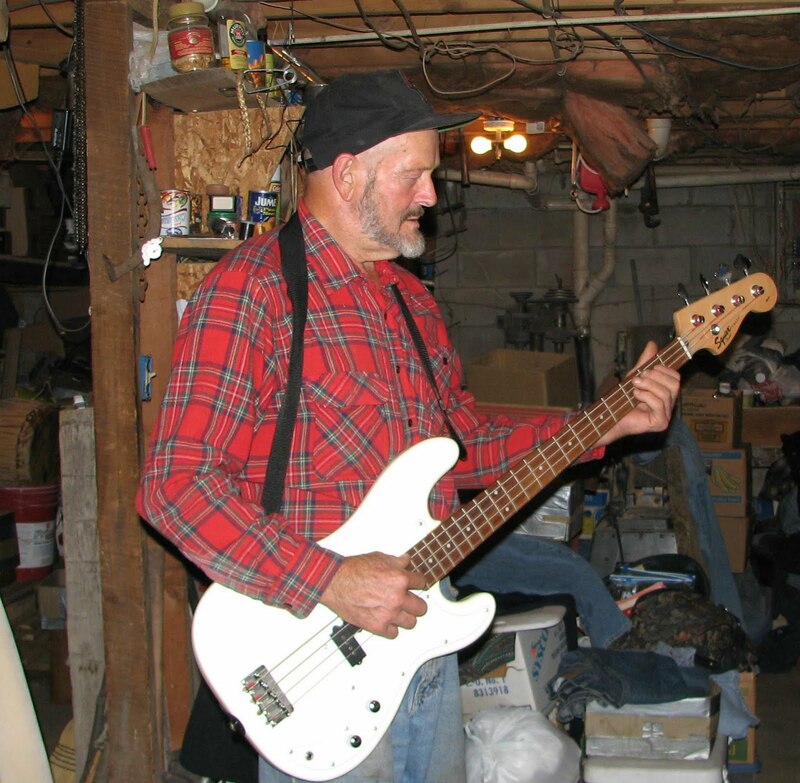 Griz is first and foremost a knapper. 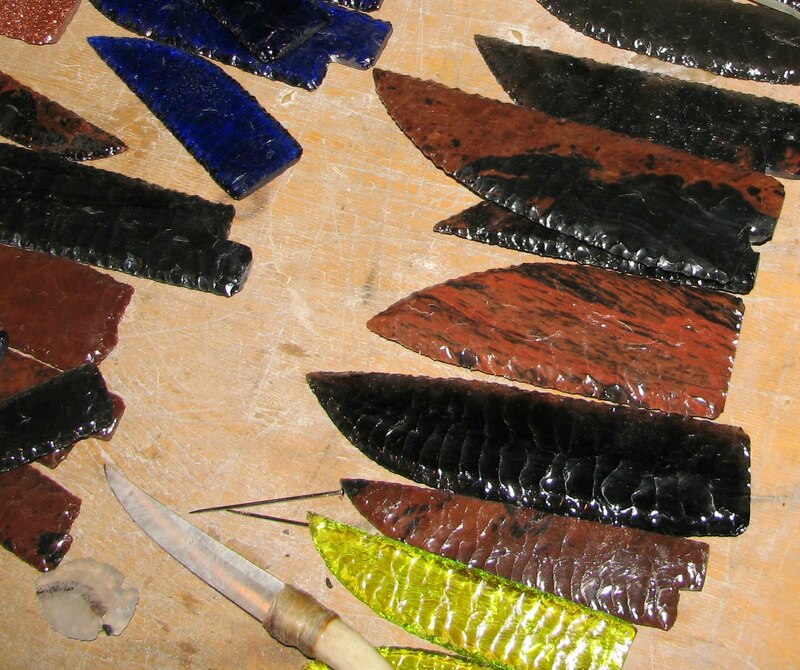 He chips magnificent blades and arrowheads out of stones and bits of colored glass. Some he sets into knife handles, many he sells loose to artisans who use them in their own work. 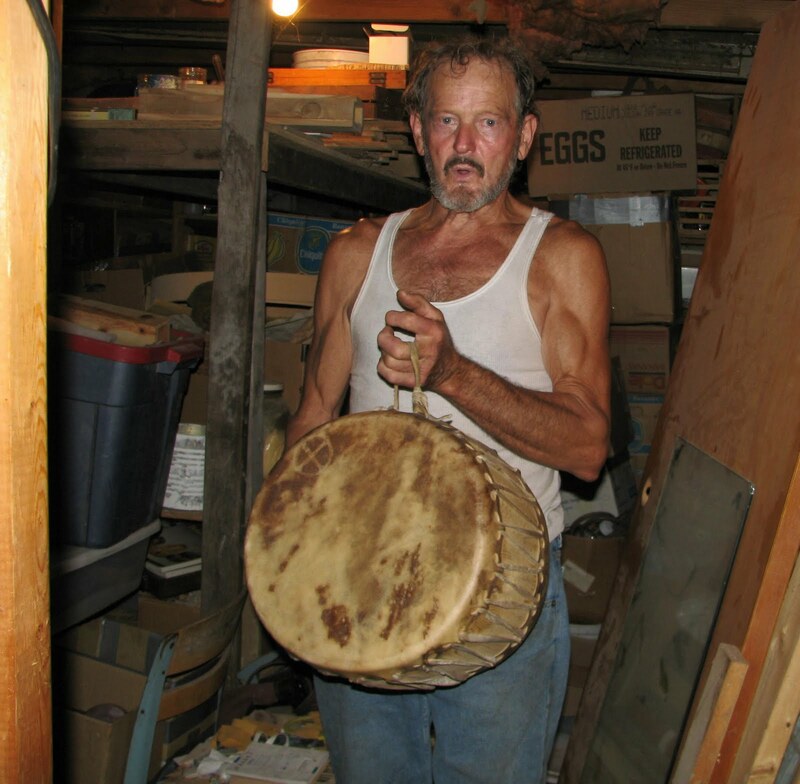 He also makes drums for the Powwow community; everything from small hand-held drums to the large drums used in the center of the circle. All of his drums are made with wood he harvests and skins he tans. There really isn't much that this self-sufficient man cannot do without any assistance from factories or manufacturers. O ne of my favorite pictures from that day is this shot of Griz showing off his two-meter wooden feather. He tells a captivating story of watching a lightning bolt strike a tree and splinter it into rubble, leaving behind this incredible work of nature's art. 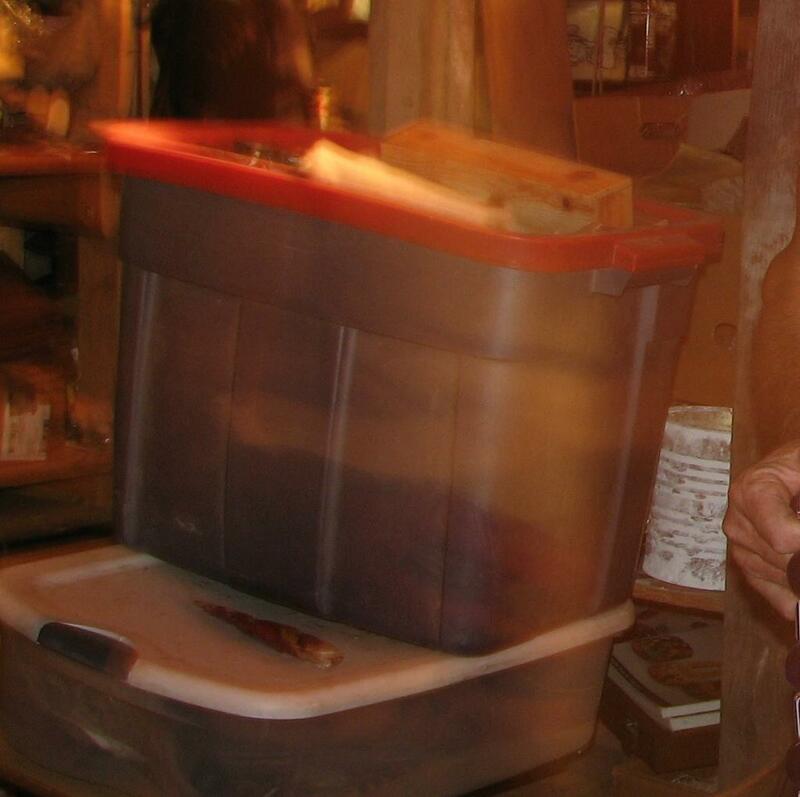 It's one of the few things in his basement that will never be for sale. 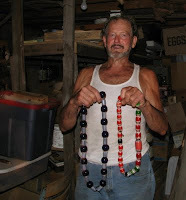 He has a penchant for beads and has a fabulous collection of glass chevron beads, both contemporary and antique. He has a vintage Fender Bass guitar and yes, he can play it! 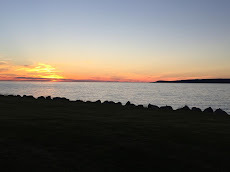 When i first began snapping pictures I did not realize that I had my digital camera set to Landscape. Not the right setting for indoor pictures and I shot a few pictures before I realized my mistake and changed to a more appropriate indoor setting. I didn't think much of it until I got home and downloaded the pictures to my computer. Remember that blue tub? That perfectly opaque blue tub? Well, look at this shot... I could not believe what I seemed to be seeing - it seemed I could see through to the contents, though that is surely impossible. Unwilling to believe what my eyes were telling me, I called Griz and asked him what was in that tub. That question confused him and I had to explain why I wanted to know. "A couple of folded blankets," was his answer. Well holy crap! That certainly seems to be what I am seeing. Griz even made the trip to my house to see for himself and he was as amazed as I was/am. So, to sum it up in question form, indoor pictures taken on the landscape setting allow the camera to see through heavy opaque plastic? I don't know, but my eyes certainly tell me that, as impossible as it seems, that is somehow exactly what has happened. Of course, if any of you have a logical explanation, both Griz and I would love to hear it! 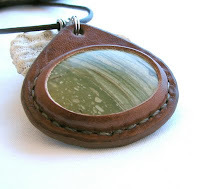 I've been working on a new batch of Earth Medallions for a couple of weeks now. It's a large batch, so it will take another week or so to bring them all to conclusion. It's a lengthy process, with lots of small steps to pass through before the thrill of cutting the window in the leather setting and revealing the beauty of the stone within. For me, it's a bit like Christmas morning every time! This is a particularly bold batch thus far, with lots of strong colors and patterns. I'll post a few here - clicking on the pictures will take you to their listings in my Etsy shop, where you can see more pictures of each and find detailed descriptions. 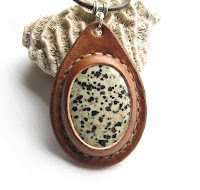 Dalmatian Jasper; distinctively spotted and ultra-earthy. This handsome rock is said to be an ancient stone of kings and shaman. Lizard Stone Jasper; I've set several pieces of this unique green and brown stone from the American southwest and I've loved them all. 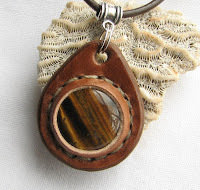 Tiger Eye; a favorite gemstone worldwide, looks very much like a cat's eye in this sweet little round pendant. It even winks with the shifting light! These and many more can be viewed in detail in my Etsy shop, linked at the top of the left sidebar.